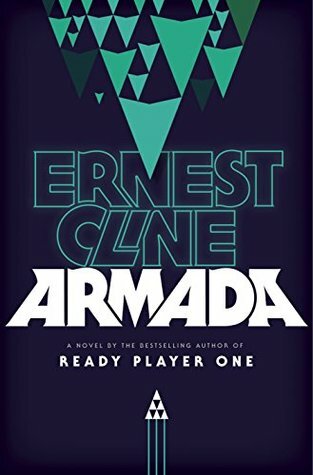 Someone please tell me why I waited so long to read Armada by Ernest Cline. Ready, Player, One is easily one of my favorite books but for some reason I put this one off. While it’s not quite up there with RPO it was still a great read. In Armada Zack Lightman is a high school student who loves his video games. When his mother pressures him to think about the future he claims he’ll be happy staying in his job at the local video game store. One day at school Zack happens to see something in the sky outside that has his mind spinning. There in the sky is one of the ships straight out of his favorite video game. Now Zack doesn’t know what to believe but what he never expected was the ship to be real and to be recruited into saving the Earth. Within the opening pages it was immediately apparent Armada was going to dive right back into the eighties the same way RPO had. Before finishing chapter 1 I’m singing Crazy Train and scolding myself to pay attention so I knew I would enjoy this one to some degree. Which brings me to why only four stars, well the story isn’t overly original as a lot of it compared to one of the very same movies it mentions, The Last Starfighter. 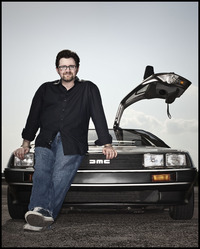 Ernest Cline put his own twist onto the video game training for war trope though and it really was a fun read overall that I enjoyed. That’s a beautifully written review. Terrific review Carrie! I actually didn’t enjoy this when I read this, but I think it was more a matter of bad timing. I’m going to have to revisit it sometime.